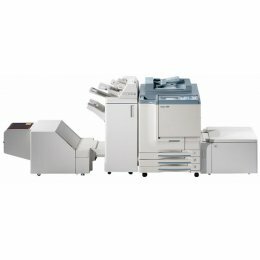 The Konica 8050 is a fast 50 cpm color copier. The Konica Bizhub 8050 Copier has a 100 page document feeder and network print. The Konica-8050 also features auto duplexing and scanning.